Death is an uncomfortable subject, but a necessary one to discuss. In my opinion, it is wrong to hide from estate planning and it is selfish. I know that sounds harsh, but allow me to explain. You have all of these hard earned assets - money, cars, homes, etc. - and you have 3 children. One of the children is the go getter, the one who does their own laundry and possibly cleans up the kitchen after dinner, the one who you know will take care of you if you get sick. This is who we are planning for. When you die, your problems are not over, they just pass down to someone else and probably someone you really care about. Was Aretha Franklin a bad person for never getting her will done? Absolutely not. Was it irresponsible? Yes. We have to come to grips with death and plan around it like any other obstacle because the burden you fear will eventually be someone else's problem. Death is emotional and your family will need time to heal and the amount of work left without proper estate planning can heavily take away from the grieving process. I urge you to push through your fear of death and plan. The workshop page which has all the information is here. Also, the conference call and webcast information is provided below. Estate planning is a huge part of the financial planning process. "What if you die?" is a morbid but necessary question. Where do you want your assets to go? Beneficiaries make the financial transfer of assets as painless as possible and all it takes it filling out a name on a form yet we find this section often goes overlooked. If there is no beneficiary placed on an account, then the assets will go through probate and could be taxed unnecessarily. Estate planning is more than just filling in your beneficiaries, but it is a great place to start! Don't forget to check your beneficiaries on all of your accounts and if you aren't sure if you can add one, just call whoever your money is with and ask. Let us know if you have any questions: ryan.stark@lpl.com or you can click contact us above to get in touch through the website. Nervous about paying a fee when you sit down with someone? Why is it that some advisors are free and some charge? Listen to this case study to find out why we charge a fee to meet and why it is beneficial for you to pay! We believe free advice is free advice. In our industry, someone sitting down with you for free is most likely a young advisor with minimal experience or a commission based advisor looking to provide you with a product. We charge a fee because that is how we make a living, with fees. We do not look to make money from providing products. Not all advisors who will meet you for free is bad but we do believe you get what you pay for. "Our mission, at Voices for Autism, is to raise money, awareness and acceptance of individuals and families affected by autism. In addition to raising awareness, we hope to promote the value, acceptance, and inclusion of people living with autism. We want to see individuals on the spectrum achieve their highest level of independence within their home, school and community. 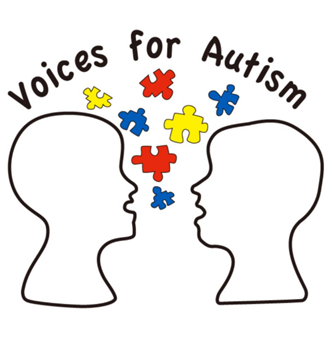 Voices for Autism would like to help better the future for individuals and families who are affected by autism." Jennifer L. FitzPatrick, MSW, LCSW-C, CSP (Certified Speaking Professional) is the founder of Jenerations Health Education, Inc., a full service healthcare education organization. With over 20+ years experience in healthcare, Jennifer is also a gerontology instructor at Johns Hopkins University’s Certificate on Aging program. Her mission is to help healthcare organizations and professionals grow while empowering patients and their caregivers. Check out more about Ms. FitzPatrick, MSW, LCSW-C, CSP, and her company, Jenerations by clicking on the website below! We have been doing a lot of research with 529 plans because of college savings and the newly introduced ABLE Accounts. After you get done with this podcast, check out our previous podcast posted specifically about ABLE Accounts! "Paul Curley, CFA, is Director of College Savings Research at Strategic Insight, where he oversees data, research, consulting and events on 529 savings plans, 529 prepaid plans and ABLE accounts for institutional clients. He is also the Editor of the 529 Dash e-newsletter and 529 Insiders website for advisors, accountants and estate planners."